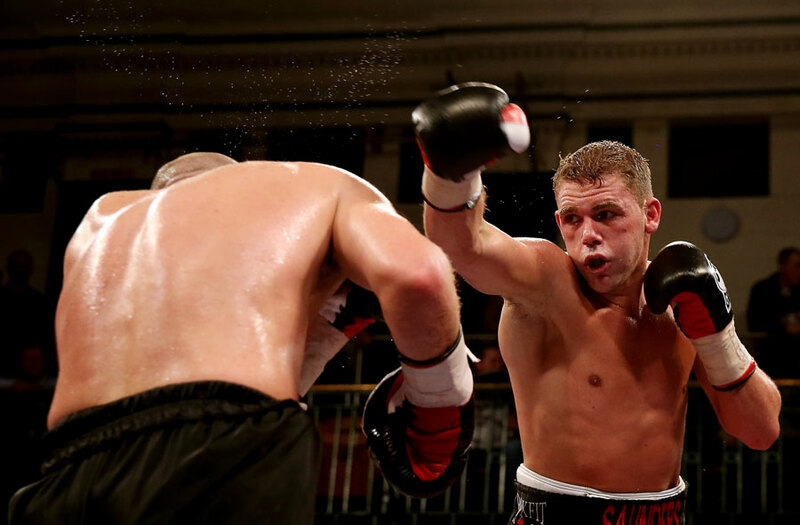 Billy Joe Saunders has successfully defended his British and Commonwealth middleweight titles after beating Matthew Hall by a unanimous decision. The 23-year-old maintains his unbeaten middleweight record and was in control from start to finish, but credit should be given to Hall who did well to go the full 12 rounds when it looked as though the fight would be over very quickly. Saunders attacked right from the start, looking sharp and using good hand speed to gain an early advantage. Hall needed to get himself into the fight, but was clearly being outdone by Saunders as he could not land clean punches. Some Saunders showboating in the third round was a sign of how well the Hertfordshire boxer had begun the encounter as he landed a couple of body shots, and consequently there was a more defensive approach from Hall in order to keep up with his opponent. Saunders nailed an upper cut in the following round along with a sustained body attack, and with the gum shield of Hall falling out it gave him some time to recover after taking some huge blows. Hall was still not landing clean shots but was the aggressor in the fifth round as Saunders failed to capitalise on his early promise. With the action slowing down in the next couple of rounds, it livened up in round seven as first Hall pinned Saunders in the corner and the latter counterattacked with more great speed and accuracy. It was a spirited effort from Hall who looked like buckling in the opening few rounds, but the quality was coming back from Saunders in the eighth and ninth rounds, and Hall needed a knockout in order to win the contest. Saunders upped his game in the tenth round and fired an onslaught on Hall, but he was still holding on and doing extremely well to prolong the bout, summing up his tremendous battling qualities. And heading into the final few rounds, Saunders extinguished the threat of Hall to see it through to the final bell and retain his titles.